Play these Flash or HTML5 based online slot machine games provided by Yggdrasil Gaming at Top Free Slots. No download required to play the games - just click on the image and wait for the game to be loaded in your browser window. You can play all these Yggdrasil Gaming Slots for free or try your luck for real money at sponsored online casinos. You can play classic slots or 5 reel video slots with multiple lines of payout, exciting bonus features, and wild and scatter symbols to increase your winning potential. 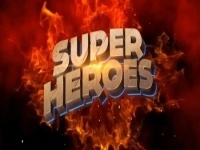 Defeat the villains in this battle between good and evil, and earn rewards of up to 70,000 coins in the incredible new Super Heroes slot by Yggdrasil Gaming! 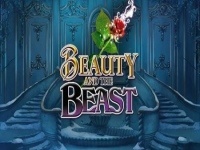 The game features 6 different heroes each representing different bonus..
Beauty and the Beast is an enchanted 5-reel, 20-payline slot machine by Yggdrasil. The game is based on the famous fairytale where a beautiful young girl gets romantically involved with the beast, only to find later the.. This is a new 1 payline slot machine developed by Yggdrasil Gaming. 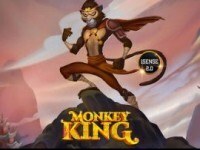 rr Online Monkey King slot machine made by Yggdrasil gaming company was released on 26.08.2015 in the free and â€œrealâ€� versions. 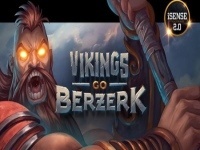 It has..
Sail across the seas and battle for treasures in the Vikings Go Berzerk video slot by Yggdrasil Gaming. This terrific game has 5-reels and 25-paylines of action and runs as a sequel to the highly successful Vikings Go.. This is a new 1 payline online slot machine from Yggdrasil Gaming. rr Fancy trying online slots no download requiring that can bring you solid rewards? 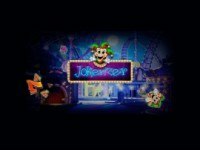 Check out Jokerizer online slot machine by Yggdrasil.. 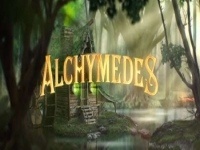 Enter a magical world of potions and wizardry in the 5-reel, 30-payline Alchymedes slot by Yggdrasil Gaming! Practice your own secret alchemy when you spin the reels in a darkened lab where the right combination could.. The cute Chibeasties await your arrival to the magical forest with treasure laden arms in Chibeasties 2 slot from Yggdrasil Gaming. The 5-reels and 20-paylines are set against 4 different realms which you can move.. Welcome to the empire, a place of rich opulence and great luxury - Empire Fortune. This progressive jackpot slot game from Yggdrasil Gaming features 20-paylines, 5-reels and offers great bonus features, including Hold.. 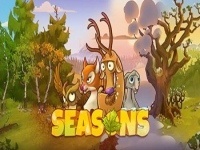 Witness mother nature in full effect with the new 20-line Seasons Video Slot, a brilliant new game from Yggdrasil Gaming. 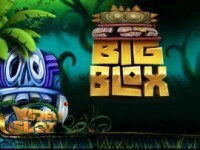 The game play is smooth, graphics are crisp, and slots soundtrack is always pleasant and could..
Big Blox is a new 243 ways to win slot machine game created by Yggdrasil Gaming. rr Big Blox is quite straightforward on the thematic aspect and offers you a chance to enjoy arcade caliber simple spins all fitted in a.. The name `Cyrus the Virus` comes from old movies starring Nicholas Cage, John Cusack and John Malkovich, but Cyrus the Virus video slot is something different. This 5-reel slot has been developed by Yggdrasil and finds.. The Doubles slot from Yggdrasil Gaming is a fantastic game that features 243 Way Wins and some really enormous prizes when you hit the right combinations. One of the more fantastic features of the slot is the Doubles.. The famous Sherlock Holmes and his many mysteries comes with the 5-reel, 20-payline video slot, Holmes and the Stolen Stones! The game is brilliantly illustrated with decorative card suits and symbols that include an..
Legend Of The White Snake Lady is a new 243 ways to win online slot machine from Yggdrasil Gaming. rr The free online Legend Of The White Snake Lady slot machine is a game developed by Yggdrasil Gaming. The theme is based on the Chinese..
Power Plant is an exciting, high octane slot machine from Yggdrasil Gaming! This game offers 5 reels and an incredible 82 paylines of action. Win up to 32,800 coins in a single spin when you activate bonus features like..
Reef Run is a Video Slot with 5 reels and 20 paylines. Dive deep into this slot machine in search of sunken treasure, amongst the funny sea life in Reef Run slot by Yggdrasil Gaming! 3 or more "freespin" symbols award.. This is a 40 payline online slot machine from Yggdrasil Gaming. rr Want to play casino slots games, but do not know which machine to check out? Look no further as this is one of the most breathtaking..
rr Yggdrasil Gaming's Golden Fish Tank slot machine game is a 5-reel and 20-fixed-lines slot. The Golden Fish slot machine has an aquarium based theme with a variety of colorful sea animals and cards like heart.. 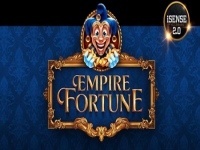 This is a new 25 payline slot machine game created by Yggdrasil Gaming. rr Mostly sports and football fans play Bicicleta slot machine game for free, developed by the Yggdrasil software provider in an online..
rr The Yggdrasil Gaming firm released the Cazino Zeppelin slot machine with five reels on October 15, 2015, and as usual, the animations and the gameplay are immense. This one is based on the steampunk style from.. This is a new 20 payline slot machine developed by Yggdrasil Gaming. 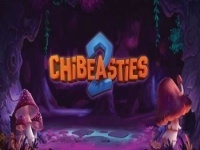 rr The Chibeasties slot game is a video game developed by Yggdrasil Gaming. The game has a free spin mode that is triggered by the..
rr There aren't many casinos that offer the environment from long past times of Nordic mythology. Â Those who seek for that kind of experience can sail the boat with Vikings Go Wild slot machine, a reliable product from.. This is a new 20 payline online slot machine from Yggdrasil Gaming. rr If you are space conscience, then you will love toÂ play Incinerator free slot.Â This machine is all about converting trash into..
Winterberries is a 25 payline online slot machine from Yggdrasil Gaming. rr How about testing one of the most intriguing Yggdrasil Gaming online slots? Sounds awesome, right? Winterberries casino slot game will.. This is a new 1 payline slot machine developed by Yggdrasil Gaming. rr As usual, the Yggdrasil Gaming company has made another HD animated slot with the baby dragon being the main characters. On February 24..
Wicked Circus is a new 10 payline slot machine game created by Yggdrasil Gaming. rr Yggdrasil Gaming brings you on a crazy journey in the bright caravan. You will enjoyÂ playing Wicked Circus free slot>Â and the.. This is a 1 payline online slot machine from Yggdrasil Gaming. rr Looking for interesting and rewarding Yggdrasil Gaming online slots? Look no further than Fruitoids casino slot. This stunning space..
Magic Mushrooms is a 1 payline slot machine developed by Yggdrasil Gaming. rr Powered by Yggdrasil Gaming, Magic Mushrooms casino slot game has a gloomy magical forest theme. As it loads, you will experience the.. This is a new 10 payline slot machine game created by Yggdrasil Gaming. rr The Dark Joker Rises slot game is developed by Yggdrasil Gaming. Any prize combination activates a Jokerizer mode, which should be the..
Pyrons is a 1 payline online slot machine from Yggdrasil Gaming. rr Pyrons online slot game by Yggdrasil Gaming promises lots of incredible pyrotechnic theme fun. Right after its launch in September 2014..